Sometimes I feel like I’m almost invisible. The world is transacting around me and I am there, in my bubble, untouched by the commerce of life. Get your friendships here. How about a lovely bit of bonding. Who fancies a nice little chat. They buy and sell their time, love and care like market traders but I never quite feel that the offer is aimed at me. Here in Cambodia, I am used to not understanding. My life is lived in one language, while daily life is transacted all around me in another. The protocols and customs are based in a culture that I understand only superficially. I know that I miss messages and mix messages. Yet, my life has always felt as if I am somehow apart from culture rather than a part of it. 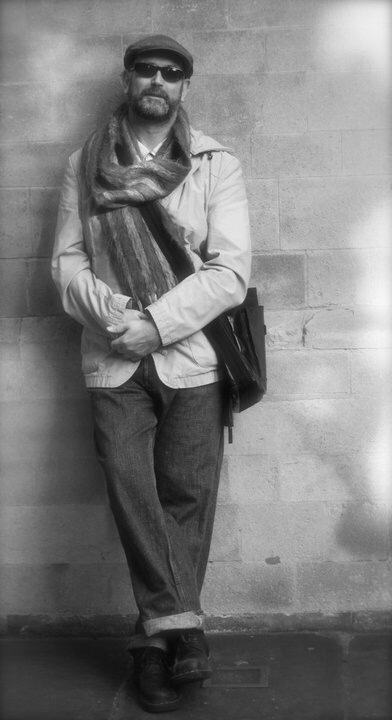 The lonely otherness of the traveller is second nature on the Asperger Path. I enjoy the market place. The overload to the senses is a shock but life, even observed from a bubble, is marvellous in its mess. So I will buy my bits and pieces and play my role. I’ll take a small smile and a bunch of happy being me, please. I no longer mark time. Time is very different here. The punctuations I took for granted have gone. Now time doesn’t comma or full stop. You see things differently at a distance. The detail is lost but the panorama allows each piece a place, and the whole is quite unlike the parts. Once there were four seasons. Nature kept my clock ticking. Larks and robins, buds and falling leaves, late sunsets and dark mornings, each a reminder and each setting me in a context. Here it’s hot. Sometimes it’s wet. It’s light for breakfast and dark for dinner. A year can pass unnoticed. The seasons come with much more. Emotionally I used to shift. I was carefree in June, melancholy in November and oh so hopeful in March. Activities would change. Life would move to the garden, the balcony or the beach for the brief halcyon summer before beating a retreat to log fires and drawn curtains. My friends are far from me so birthdays are Facebook updates and Christmas isn’t coming. Now that I am no longer on it, I can see I was immersed in a cultural calendar. My days run on like badly constructed sentences, weeks are just ill defined paragraphs and without the seasons there are no chapters. I am in a stream of consciousness and living in the now because the passing of my time is no longer marked. In the pouring rain, a boy stands. His t shirt is pulled up over his head. He watches the traffic speed by. My twenty first century existence is locked inside the bus as I travel distances that would make saucers of his dark eyes. His feet, clad only in flip flops seem unaware of the puddle in which they stand as he waits to cross the national highway. In his hand, that has never held a smart phone, he holds a chain as beside him, equally patient and equally wet, stands a huge water buffalo. I wonder if that’s his daily task, the safe passage of the buffalo from sodden paddy to equally submerged garden. The house opposite, tin roofed and up on stilts, is more a room than house, but there’s something in his stance that says it’s a happy home. Life, like rain, is what it is. 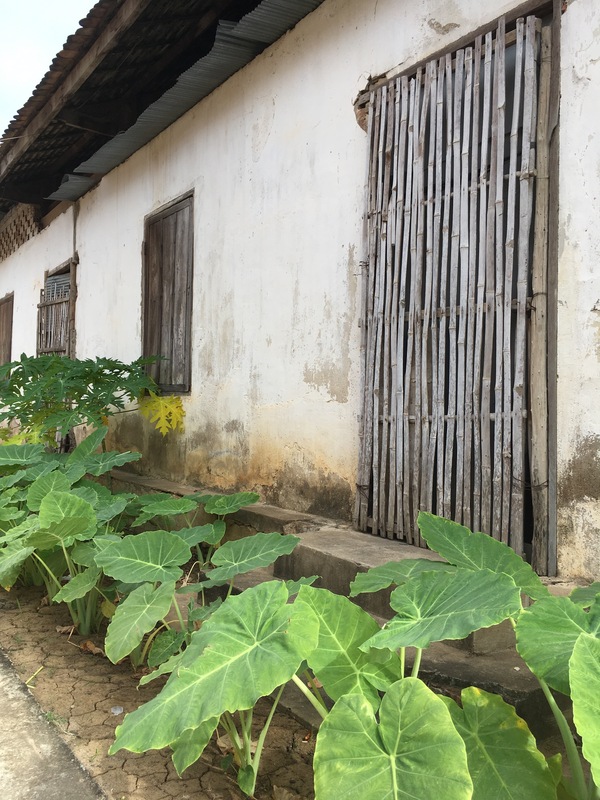 The life in rural Cambodia has a simplicity I cannot imagine. The land is flat and the wet season is far from over. Perhaps I should find a puddle and stand patiently in the rain until I can accept my life as it is and allow the lives of strangers to pass me by, unnoticed and unimportant. In Britain I was expected to be so much more than just a teacher. 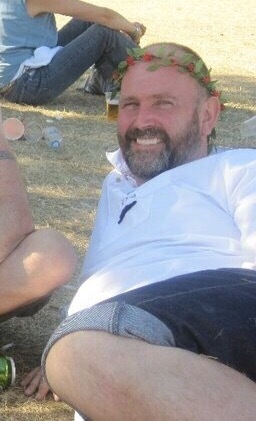 A social worker, counsellor, parent, friend, mentor, big brother and psychologist. A multitasking miracle worker who would whizz into a room and create a positive learning environment from whatever I found. With Pavlovian conditioning, I could change tack with every tolling bell, ploughing through a long day where breaks and lunch evaporated and needs were met, anticipated and dealt with. The gifted were stretched, the less motivated were encouraged and the hungry were fed. Sometimes even clean clothing was appropriated. I made a difference. London’s schools were challenging and dynamic, and not for the fainthearted. Cambodia is no place for the fainthearted either. Grinding poverty, years of internal corruption, and searing heat bring their own challenges. However, like many foreigners work in elite, private settings with students who are relatively wealthy. The library has precious few books and the school feels under resourced but the parents all have big four wheel drive cars. I set a task and my class of students do it. I have never taught students like this before. They are respectful and engaged, no matter what. Are we doing something creative and engaging right now. Not particularly. In fact, we are doing peer and self assessment of paragraph writing with a final draft to be produced by the end of the lesson. Deathly dull if you ask me, and I am theoretically a writer. In addition to having no real classroom management issues, I am not expected to analyse or deep dive data. I do not produce reports or graphs highlighting student underachievement nor am I expected to contact parents and build home school relationships. I come to class. I teach. I assess. I grade papers. I give feedback. However, this generation will be pivotal in the the changes that are need to happen in this country so I might be just a teacher but, like all teachers, I can still make a difference. Once I was blissfully unaware. I was an misfit, an oddball, an eccentric of a peculiarly English type but I thought nothing of it. My few attempts to fit in were always just opportunities to stand out. I was a follower of fashion for example. However my “fashion-forward” sensibilities were heady when combined with my complete unawareness of the ripples I can create around me. Never thinking to look back, I sailed through the calm waters of life with the cut of my jib set jaunty. Then they interfered. I was labelled. The very essence of who I was became the focus of others. Professionals were involved and meetings took place. People were concerned or perhaps even worried. I was placed on the Asperger Path and my life juddered to a halt. Half the world away and here I am. The path is mine. I have owned myself and stuck two fingers up at those who told me what I could and couldn’t do. I live in a country where I don’t speak the language and my height, colour, build and beard separate me from the crowd. No one has really heard of Asperger here, let alone his blooming syndrome. We are all blissfully unaware. I took a walk along the river today. I wandered down under the shady trees and crossed over on the bridge that usually takes me to work on my bicycle. I stopped for a bite to eat with the barbecue pork lady before heading north. So many times I have walked passed the pagoda there, meaning to stop, but somehow I never find the time. Today I found I had time to spare. My tummy was full of rice and I was feeling in the mood for a meander. For me the temple itself was not the main attraction though it is undeniably beautiful. 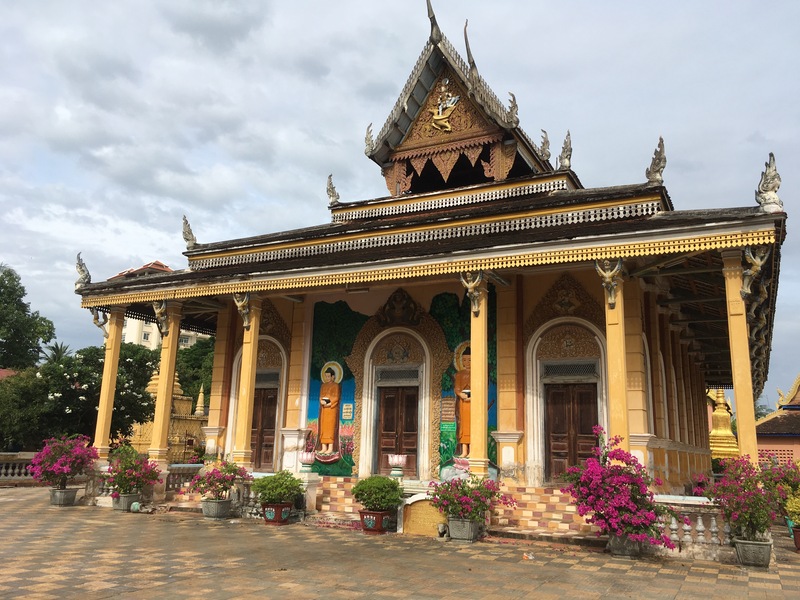 It is surrounded by other buildings as most temples are in Cambodia, but in Battambang the architecture always seems just a little more special. I wandered about and took a few snaps and then headed north along the eastern river bank. It was a cool morning and it’s been a while since I just went for a walk. Up to the bridge that takes Highway Number 5 over the muddy brown Sangker river. I wandered up to the ferry terminal and found myself a coconut to satisfy a niggling thirst then abandoned the river for the frangipani shaded walk east. My last leg reminded me that this seemingly sleepy city is in fact the second largest town in Cambodia. After my dreamy walk where I felt quite alone with my thoughts I turned south and soon was in the happy midst of daily Khmer life. Psar Boeung Chhouk teems with people. The Psar Nath may be the landmark market hall but Boeung Chhouk market is were people come to shop in droves. Four months I have lived in this city. It still fills me with wonder, charms me senseless and brings a smile to my face. Sok Sabay I say to almost everyone I meet. Peace and happiness is easy to find in Battambang. Thursdays are an early start for me. My eight o’clock class lasts until eleven so a good start to the morning is crucial, especially as I have my usual afternoon classes as well. A good friend told me about the street café outside the Korean Steam Boat restaurant and as it’s on my way to work I thought I might give it a whirl. A lot of Cambodian people eat breakfast in a café. My Khmer language skills are pretty ropey but the aforementioned friend assured me there’s only one breakfast on offer with this lady. I know the word for one. It’s muy. And soon I was sitting down with a plate of rice, pickles and some truly magnificent barbecued pork. It was accompanied by some broth and was really tasty. I was feeling pretty lucky. Just when I thought life couldn’t get any sweeter I realised that the noodle place next door sells coffee. So after my breakfast I indulged in an iced coffee and sat and watched the world go by. Thursdays just got a whole lot better. 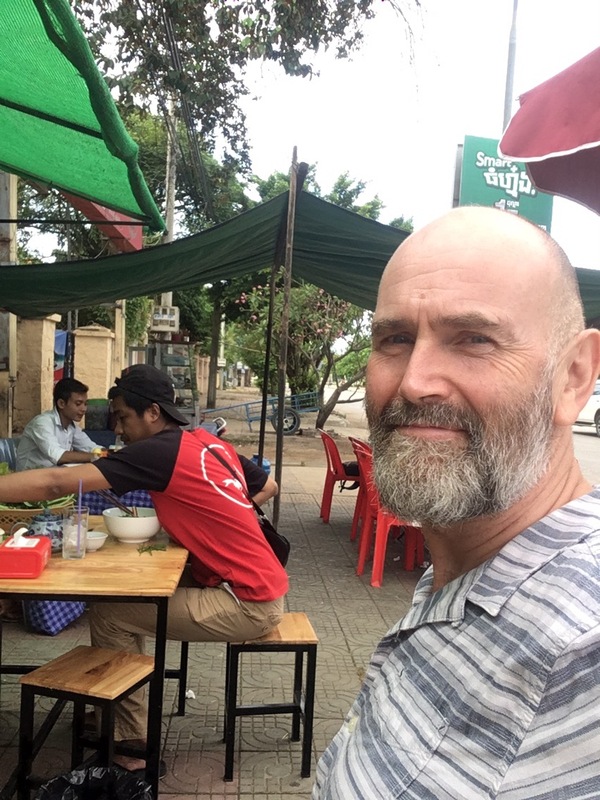 I might even consider taking another morning class, or perhaps I should just get up early more often and enjoy a leisurely breakfast in the cool morning air by the river in Battambang. Cambodia is a land that got lost in time. A dictator came along and declared Year Zero and tried to recalibrate the society into an agrarian socialist utopia. The ‘new people’, teachers, artists and intellectuals were purged and tortured in the genocide that followed. After years of bombing from the Americans and bitter civil war Cambodia decided to inflict even more lasting damage upon itself. The aftermath is apparent but I feel powerless to help because I’m not sure what I can do. Cities were deserted and the people were returned to the land. Those that weren’t tortured faced starvation or hard labour and in two years about a quarter of the population were dead. Mass graves, horror and destruction were left as the Khmer Rouge were pushed back from the capital by the advancing Vietnamese liberators. Now Cambodia faces new challenges. A prime minister who has been in power for decades and whose role in the Khmer Rouge is still vague, rules a country that is lurching into the twenty first century. Rapid urbanisation, modernisation and industrialisation carry on seemingly unregulated. Any attempts to preserve habitats and cultures are hindered by corruption at all levels. In Cambodia there are many complex and conflicting needs which are failing to be met. Sadly many of Cambodia’s population are as poor now as they ever were. One the legacies of this newly democratic kingdom is waste. You see it everywhere. In a country with so many issues is it a liberal European concern that Cambodia is choking to death on plastic. Perhaps it is, but I am as liberal and European as they come. Plastic Free Cambodia launches today and I will do my bit. This country could be a jewel in Asia’s crown with its diverse habitats and amazing ecosystems. 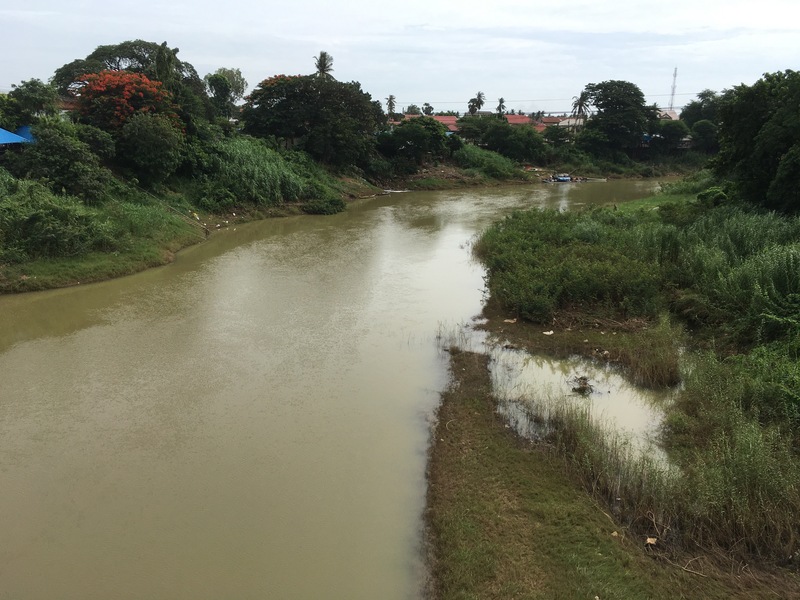 Mighty lakes and rivers dominate the country but, if they end up polluted and choking, Cambodia could find its still largely agricultural population falling victim once again to a leadership whose primary concern is not the welfare of its people. While I am here, just a visitor passing through, I can ensure I inflict as little damage as possible. I can’t stop illegal logging or palm oil plantations but I can say no thank you when I’m offered a plastic bag. I lead a very small life. I get up and go about my business and to most I am an unknown. I am a nameless stranger on the streets of a city whose language I cannot read or speak. Yet, everyday I feel welcomed. When shopping, the generosity of a smile, when I struggle to communicate, calms me down. The old ladies of the market laugh at me but I can see the kindly twinkle in their eyes as I stumble through buying my vegetables. The toddlers, standing on the footplate of their parents’ scooter even shout hello as they go past. So I may be unknown but I’m not unnoticed. As a foreigner, a barang, I stand out. 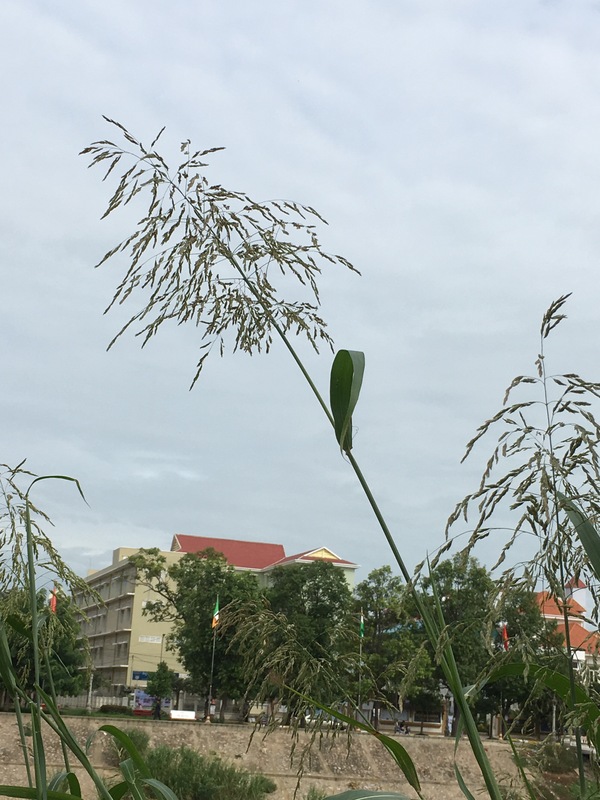 I am tall, even by British standards, so here in Cambodia I feel as if I’ve come down a bean stalk. I sail around the town on a big old fashioned bike, having eschewed the ubiquitous motorbike, gathering smiles. In my small life, these seemingly meaningless interactions are anything but. Each one contributes to a sense of happiness. Here in Cambodia people are shy but they are not wary. Having come from Europe where the single adult male is shunned as potential stranger danger it is lovely to receive happy waves and carefree waves and hear parents encouraging their children to say hello. I will never change the world and I have no aspiration to do so. Nor will many of the people I see every day. However, a cheery hello or an open smile can change someone’s day. I know this because the good people of Battambang share their small city and their kind, friendly nature with me, making my small life a happier one. I met a man the other day who blew away the cobwebs that had gathered in forgotten corners of my mind. Through his conversation he gently reminded me of lost passions and interests that have lain, unvoiced, in the hinterland of my consciousness. He was travelling at light speed through South East Asia. However this cosmic hare paused for breath before zipping past me, the earth-bound sluggish tortoise. We talked of things from home mostly. A trip back to the familiar which was less memory lane than a base touch with my own culture. The politics of the left and the left out was discussed over one too many beers and the world unable to righted was dispaired over. We shifted our focus to love and relationships and discovered much in common. We both believed in the openness and flexibility of love. Seemingly polar opposites, the more we discussed the broader out common ground became. When he left I knew that I would never see him again. I wish he were a tortoise because I could have travelled and talked with him forever. How easy life would be but I don’t fall in love with tortoises. I fall in love with hares and so I wake up with spiders rebuilding their homes in forgotten corners.